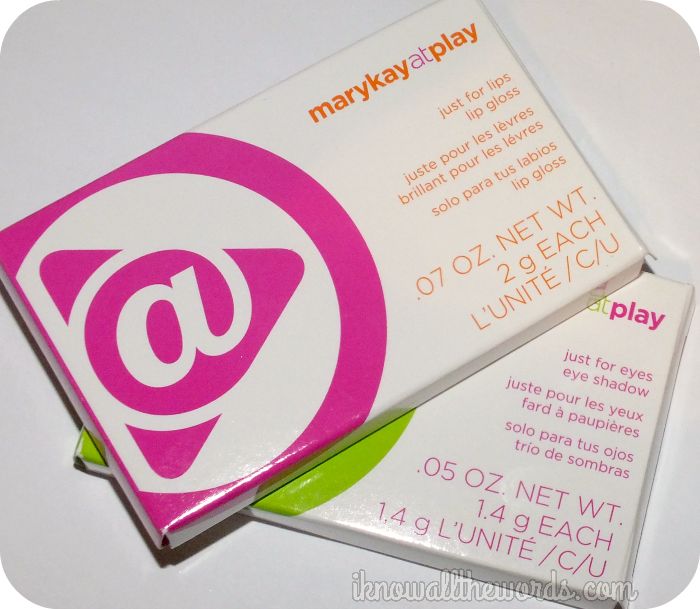 Mary Kay introduced their At Play Collection with their Summer releases, and have followed up with a little encore with two more At Play products in the form of the At Play Just for Lips and Just For Eyes Palettes. Read on to check them out! These At Play Just for Lips and Eyes palettes are mini and cute but also really easy to throw in a makeup bag for on the go use as they're both small but also quite thin. 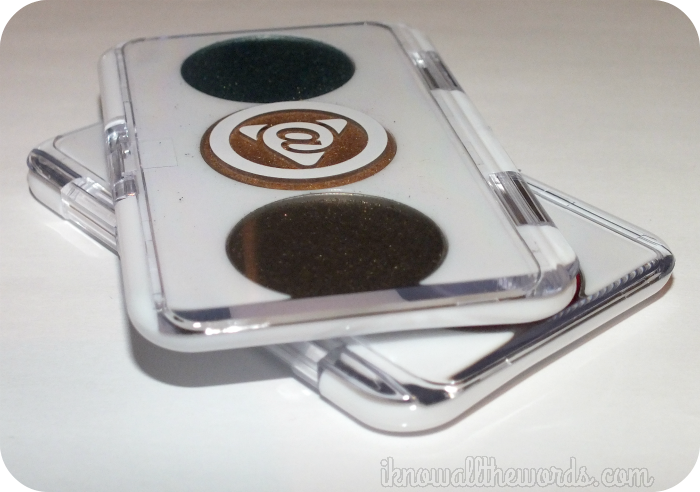 They're fuss free as there is no applicator to deal with- which you wouldn't use anyway- and the clear lid makes it easy to spot which palette you're after. Although these are all plastic, it's sturdy feeling plastic that doesn't seem likely to break or crack. 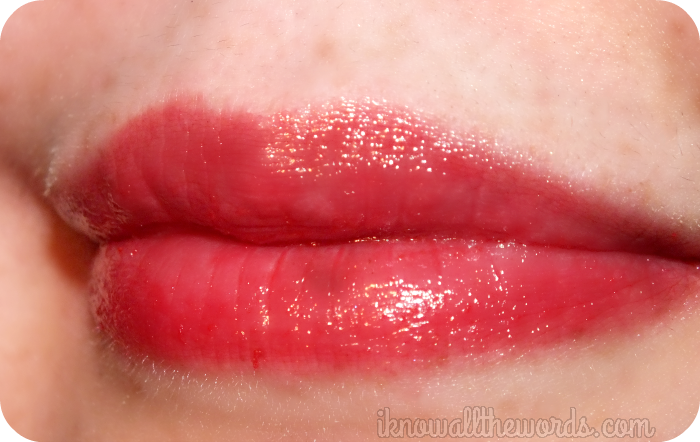 I'm usually not a fan of lip palettes, but the gloss in the At Play Just for Lips Palette is actually quite nice. It's not thick, goopy, or sticky and applies easily with a clean finger- I found I lost too much pigmentation when used with a brush. 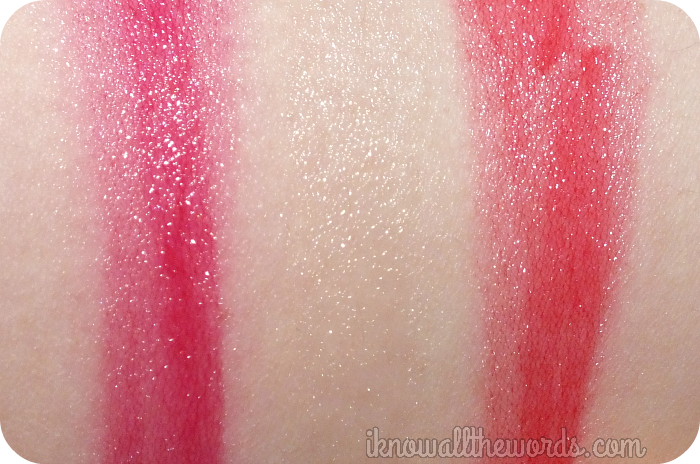 The palette has three shimmering shades- a pinky-red, a clear gloss and an orange-red- that will suit pretty much every skin tone. 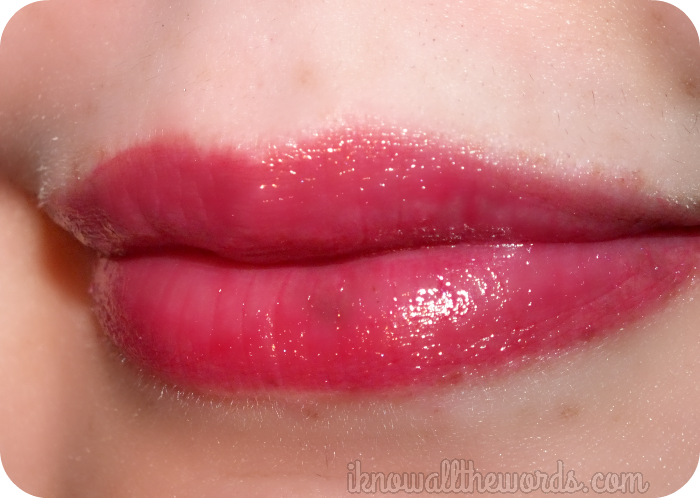 The gloss has a nice sweet vanilla type scent but no flavour. Calling all simmer lovers! 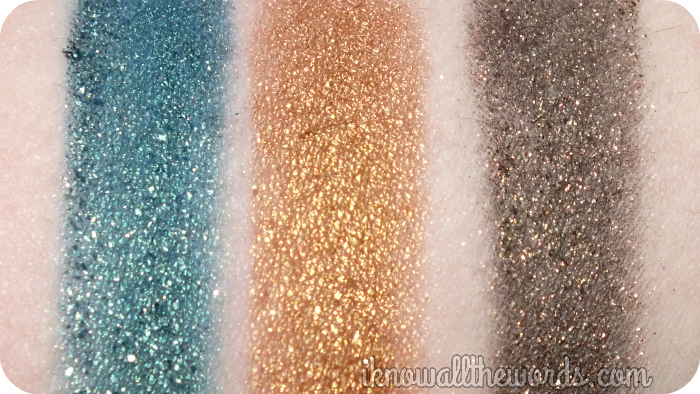 The At Play Just for Eyes palette brings the shimmer in the form of three seriously pigmented shadows. 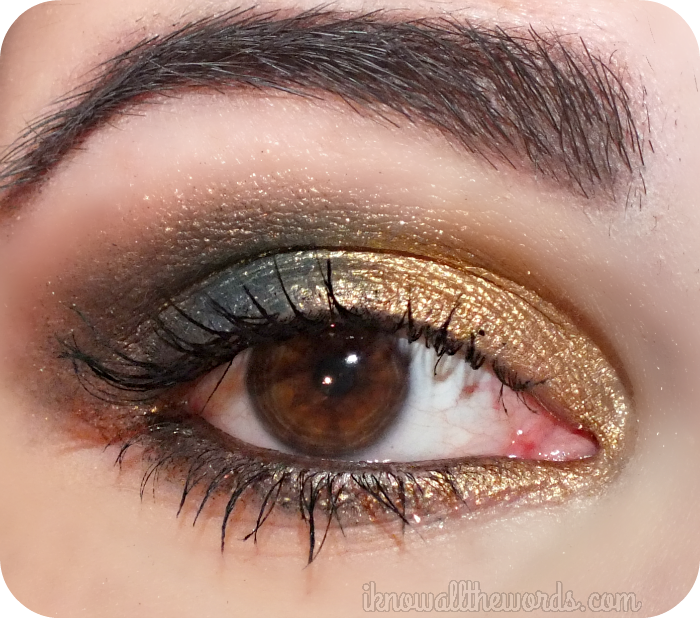 Consisting of a teal-green, a true gold, and an antique olive-gold, this palette is ends up being a stunner all around. 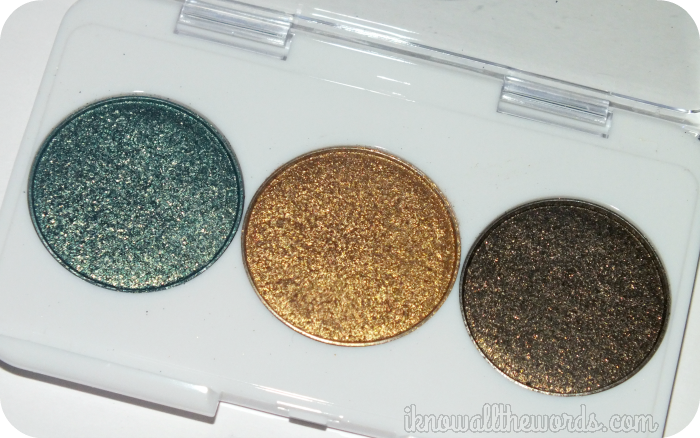 The shadow formula is a cream-powder blend that makes these apply incredibly easily and pigmented. While the creaminess helps minimize fall-out there is still a bit of wayward shimmer. Applying these with a flat brush helps, as does applying before your foundation/concealer. 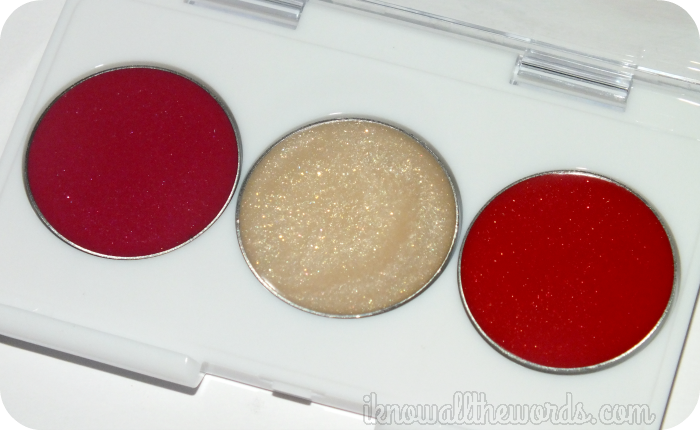 Overall, I think these are excellent little palettes! 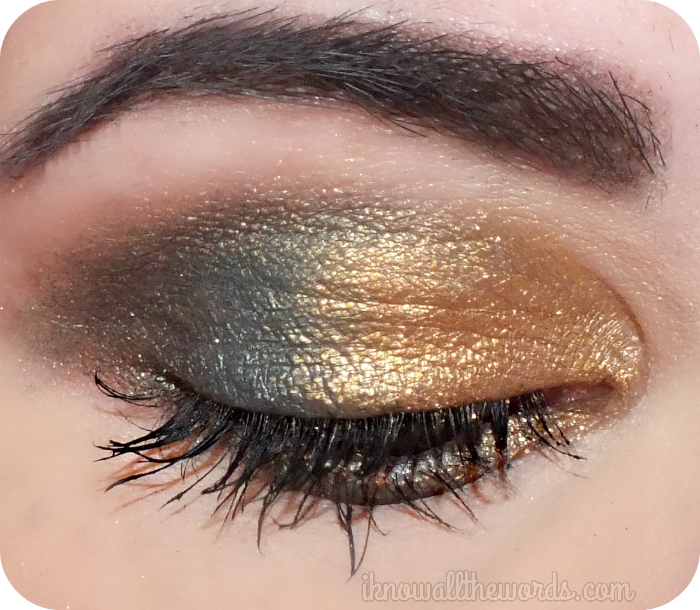 The Just for Eyes is my favourite out the two as I love a gold shadow, and this one is pretty much perfect with it's molten metal look. 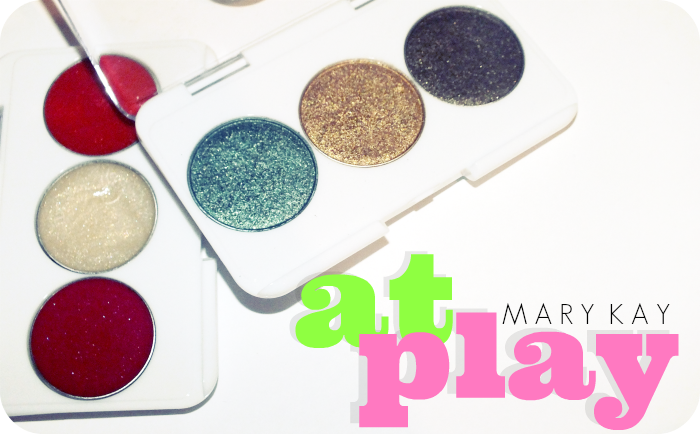 Do you like mini palettes?